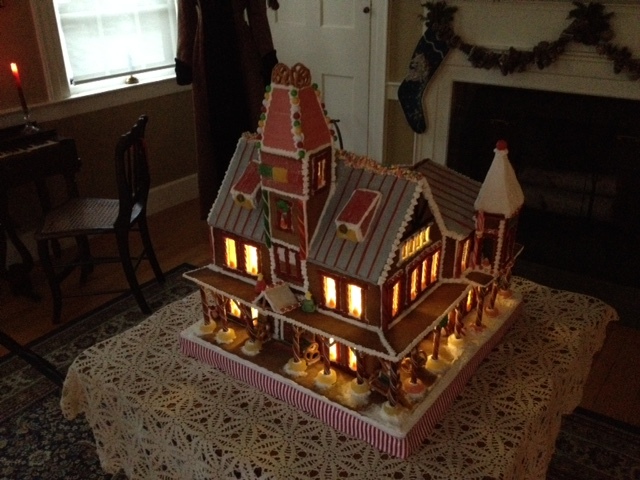 A completely edible Norwich Inn, C. 1891. Created by Annette Brown. 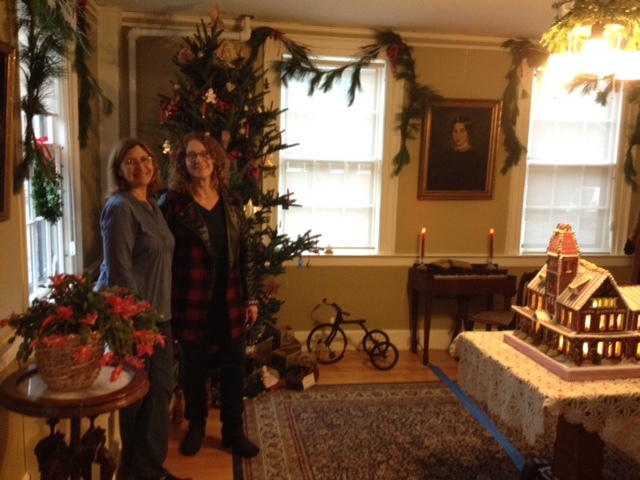 A festive Victorian Holiday at the Norwich Historical Society! 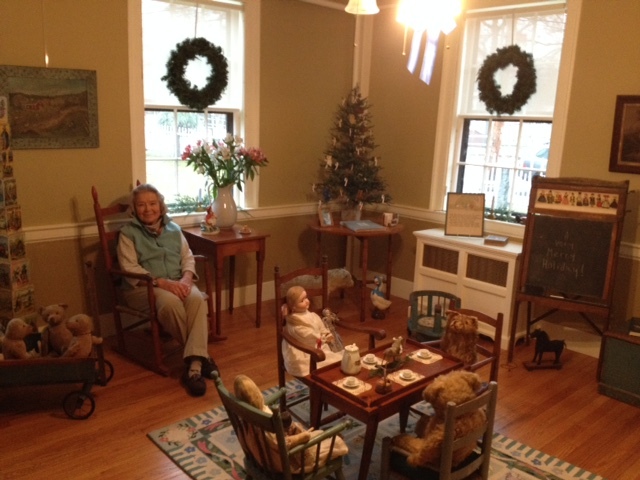 The Lewis House has been transformed for the holidays with lots of surprises and fun for the whole family! Come see a scale gingerbread replica of the Norwich Inn, decorations from the Victorian Age with pieces from the NHS collections’ and a Victorian children’s playroom recreated from her own collections by Norwich’s Toni Prince. 19 Days Raffle! 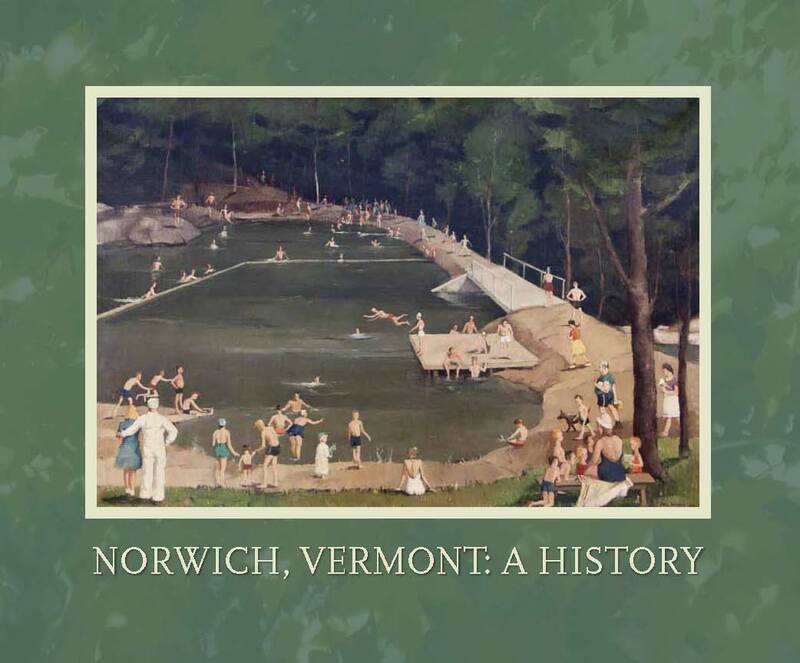 When you visit, please bring a canned good of your choice and receive a free raffle ticket to win “Norwich, Vermont: A History” published by NHS in 2012 (a $29.95 value). One ticket per canned good donated. Drawing on Dec. 19. You don’t need to be present to win! This exhibit will be ongoing through the end of December. Special thanks to Gail Sanders, Annette Brown and Jane Korey for the wonderful decorations! Thanks to Toni Prince who loaned us her very special collection of Victorian-era toys for this wonderful exhibit.